By Clemente Lisi – E RUTHERFORD, NJ (Sep 10, 2018) US Soccer Players – Paul Arriola is one of the many young faces that makes up the current US National Team set up. While European-based players like Christian Pulisic and Tim Weah have garnered a lot of the attention, the DC United midfielder is one of those who makes a strong case that MLS remains a major contributor to the USMNT roster. With the 2022 World Cup cycle officially off the ground following the USA’s 2-0 defeat to Brazil this past Friday night at MetLife Stadium, the 23-year-old Arriola isn’t only hoping to be in the mix when it comes to call-ups. His ambition is to become a starter for the games that count, like next summer’s Gold Cup. 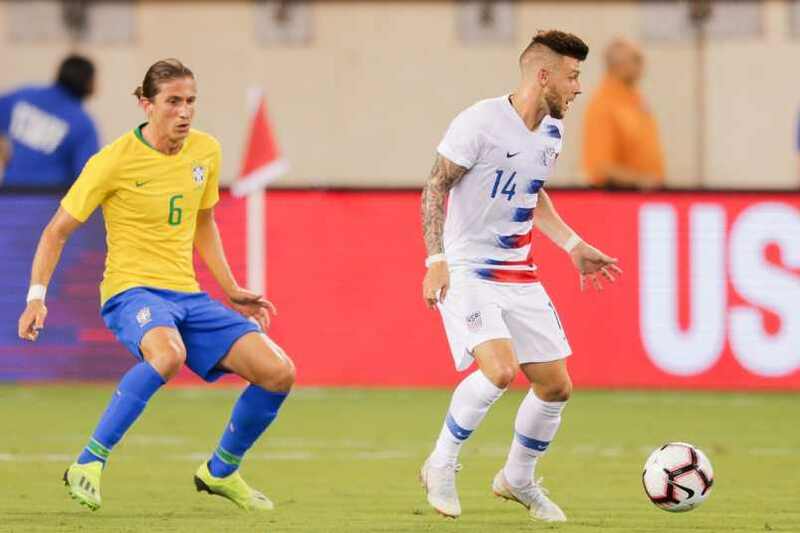 Against Brazil, Arriola played 55 minutes against Brazil before caretaker coach Dave Sarachan subbed him out in favor of Kellyn Acosta. Arriola left the US camp this past weekend to rejoin undermanned DC United as it takes on Minnesota United on Wednesday. So far, Arriola has made a case as for why he should be a part of this team. He’s been key in the recent surge by DC United as the team makes a late playoff push. The California native of Mexican descent has been a National Team hopeful since his days as a youth player in the US Development Academy and later featured for the Under-17, U-20, and Olympic teams. Arriola earned his first senior cap in May 2016 against Puerto Rico under then-coach Jurgen Klinsmann. 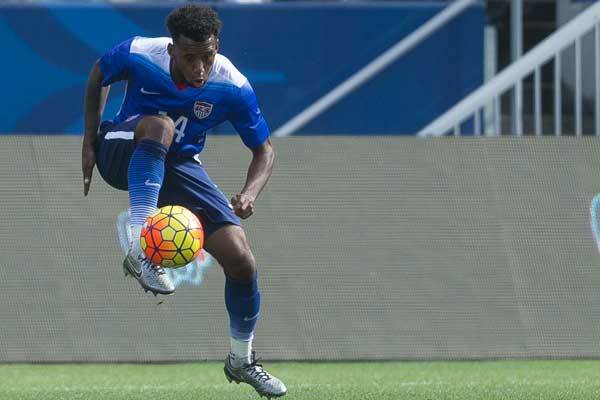 He marked that debut with a brilliant game that included a goal as the US went on to win the match 3-1. In all, Arriola has made 17 appearances and scored twice. We caught up with Arriola, where he talked about the USA’s rebuilding process, the importance of playing tough teams like Mexico on Tuesday at Nissan Stadium in Nashville, and balancing playing for both club and country. What has it been like being with the National Team again and training with this young group? It’s great to be back with the National Team. I see players with a lot of confidence. I’ve been with the National Team for a few years and you can see there is a different vibe now. It’s refreshing to see such a young group who are similar in age to me and just as hungry to prove ourselves. What did you learn from the loss to Brazil? We knew it would be a complicated game against a team like Brazil. They are always very tough to play against. We had a game plan, but couldn’t stick to it. That’s part of what happens sometimes in games like this. Going down after just 11 minutes forced you guys to play from behind from the very start. Was that the biggest factor that led to the defeat? With the class these guys have, you can’t afford to make mistakes. While losing always stings, what’s the long-term goal for this team? These games give us experience right now. When you go into qualifying, and even the Gold Cup and play against teams not at the level of Brazil, we should have a lot more confidence. We should be able to play those games knowing that we can fight against tougher teams like Brazil. It’s big. They are our biggest rivals and it will be another great experience for us. Hopefully, the fans will come out in large numbers in Nashville and support us. It should be a great game. How do you balance playing for DC United, then having to come here and spend time with the National Team? Is it difficult? For me, it’s great. I’m coming in with a lot of confidence by playing well for my club. Getting the chance to play against Brazil and Mexico in a span of a few days only helps me when I go back to my club and be able to bring some confidence and leadership on the field.